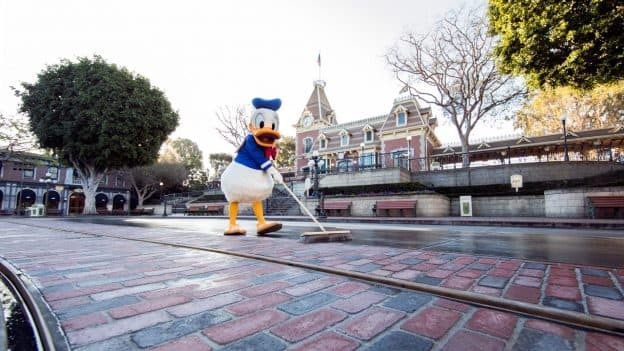 As Kevin first told us last month, Main Street, U.S.A., at Disneyland park is currently undergoing a refurbishment while the horse-drawn streetcar track is replaced in its entirety for the first time. This complete replacement has also incorporated new brickwork along the length of this iconic thoroughfare, and today we’ve got a first look at this gorgeous enhancement as the sections around Town Square and Central Plaza (also known as the Hub) have been revealed! The pieces of original track remaining prior to this refurbishment are being salvaged and preserved, and the previously updated pieces of track are being recycled. 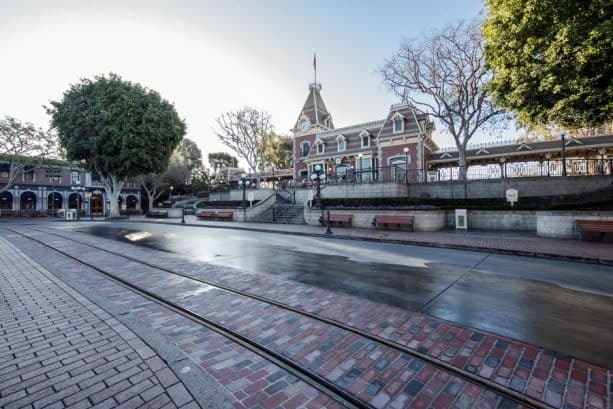 If you’re curious about what the Disneyland horses are up to while the operation of all Main Street, U.S.A. vehicles is temporarily paused, check out Donna’s story! When will it all be done? We were at Disneyland (from Seattle) last week. I would have thought that, because of crowds and foot-traffic issues, it would have been bad, but it was fine. And now we have beautiful new brickwork! Thank you, DIsneyland, for another great vacation. I agree with Josh! And I’m so glad the horse drawn vehicles and motor vehicles are returning, they are fun to ride down Main Street in and add so much to the Disney experience! I like it. It is going to take a long time for me to get use to it. 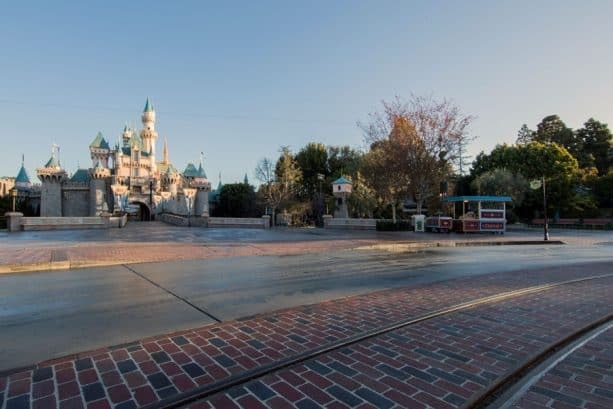 Are the walls down completely on Main Street now or are they still standing? Looks awesome Erin. I will be so happy when the walls disappear from Main Street! Any word on if we will be getting the hunt this year? Thank you in advance!! 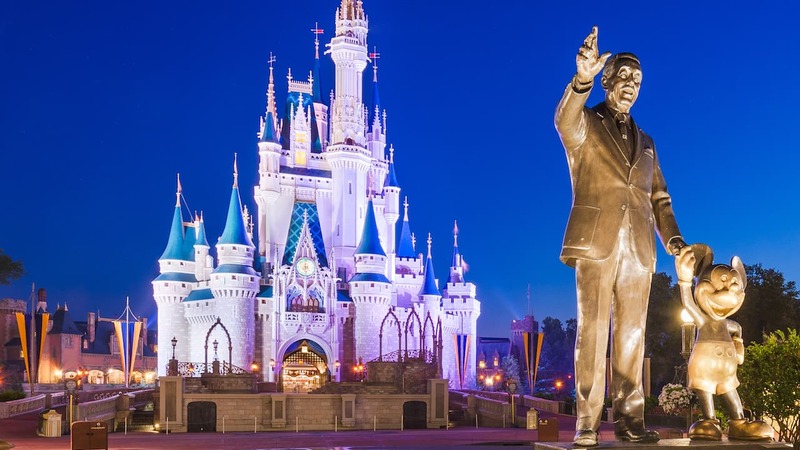 These are the kind of changes to the parks I live for. Little touch ups that won’t necessarily draw in crowds but truly improve the park. Looks more like Disneyland Paris now. Upgrade!